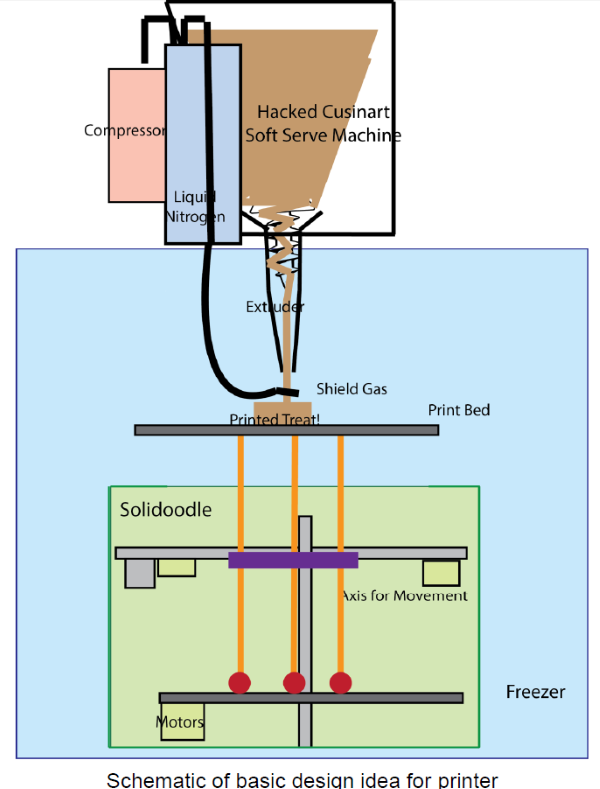 Three Massachusetts Institute of Technology (MIT) students have created an ice cream 3D printer using the principals of a fused deposition model printer. As part of their graduate project in MIT’s additive manufacturing department, the team of Makers developed a device that’s capable of printing soft-serve ice cream in various shapes using a Cuisinart ice cream maker and a Solidoodle 3D printer. According to the students, they then needed a shield gas to solidify the ice cream as soon as it came out of the extruder, so they built a system to spray liquid nitrogen onto the ice cream as it was extruded. The instant cooling allowed the printer to build up the ice cream layers just as a traditional extrusion-based 3D printer squirts down layers of plastic. You can watch the proof-of-concept in action below. Though the printer still needs refinement before its likely ready for commercial duty, perhaps it won’t be long until you this technology comes to a truck near you! I scream, you scream, we all scream for 3D-printed ice cream! 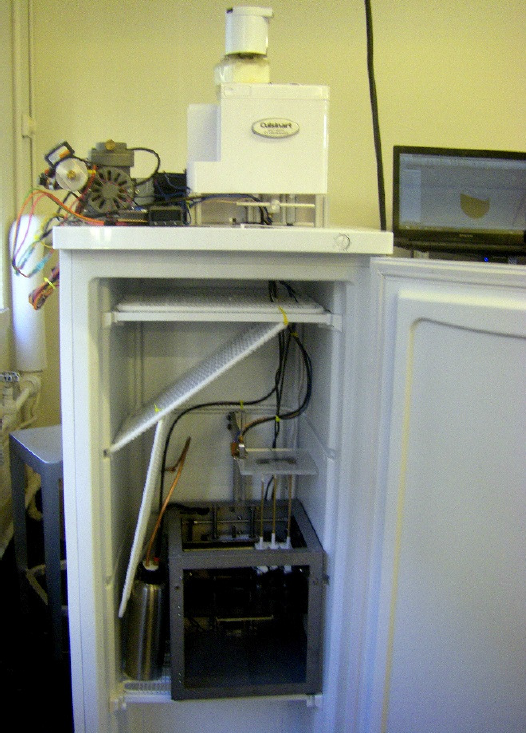 Interested in learning how the ice cream 3D printer was made? Get a full step-by-step breakdown by reading 3Ders entire article here. 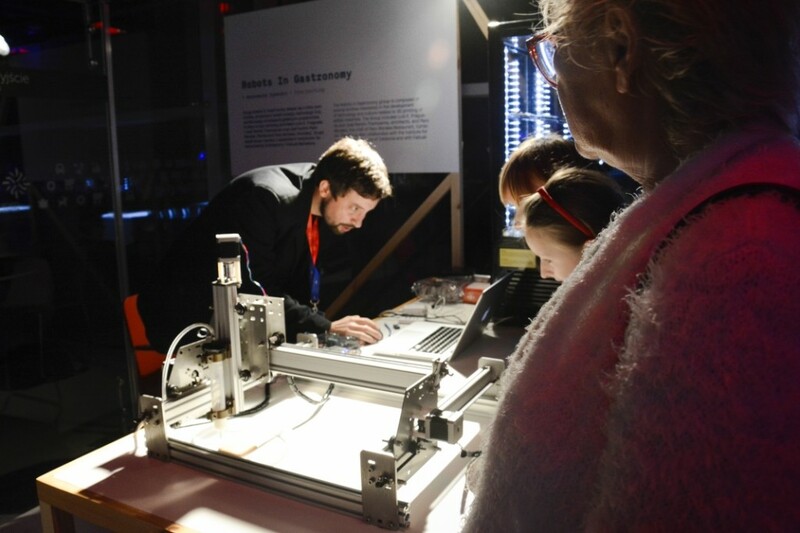 This entry was posted in 3D Printing, Young Makers and tagged 3D Printing, 3D Printing Ice Cream, 3D-Printed Ice Cream, Maker Movement, Makers on July 17, 2014 by The Atmel Team.